I'm pretty excited about today's post. 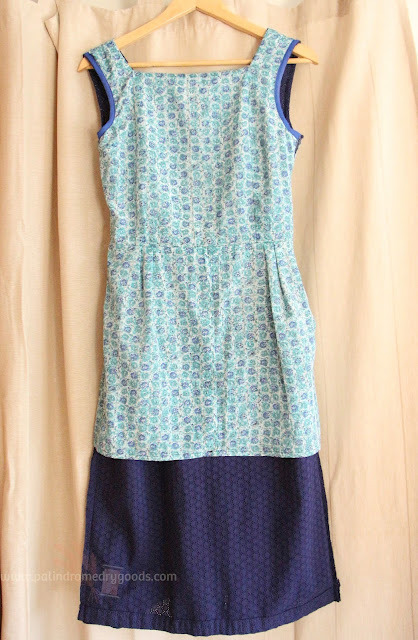 Not only am I sharing the dress I made for Christmas, but I'm also going to be sharing my tips and tricks for splicing together different pattern pieces. "Splicing? ", you ask? Yes. 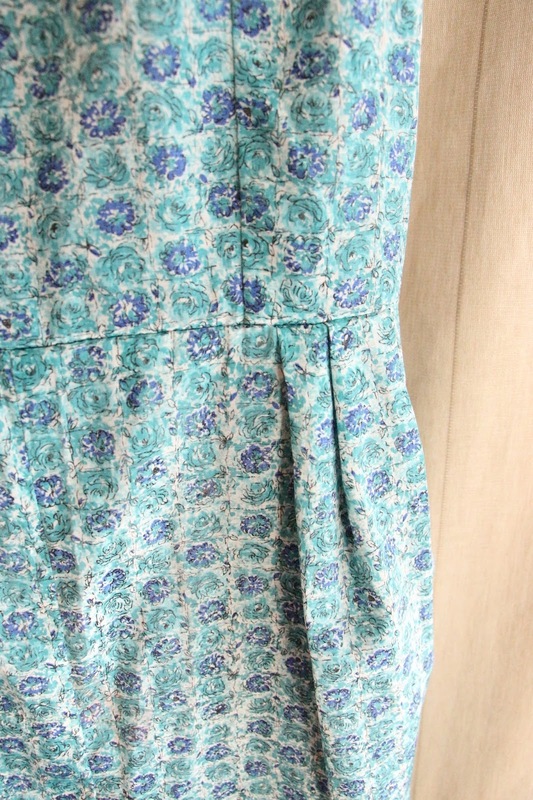 Piecing together completely different patterns to achieving your desired garment, which is what I did for this dress. The bottom half of this dress was made using McCall's 3753 in view A with the back flounce. The top half is from vintage Simplicity 3426 with the low back V neckline in view 1. 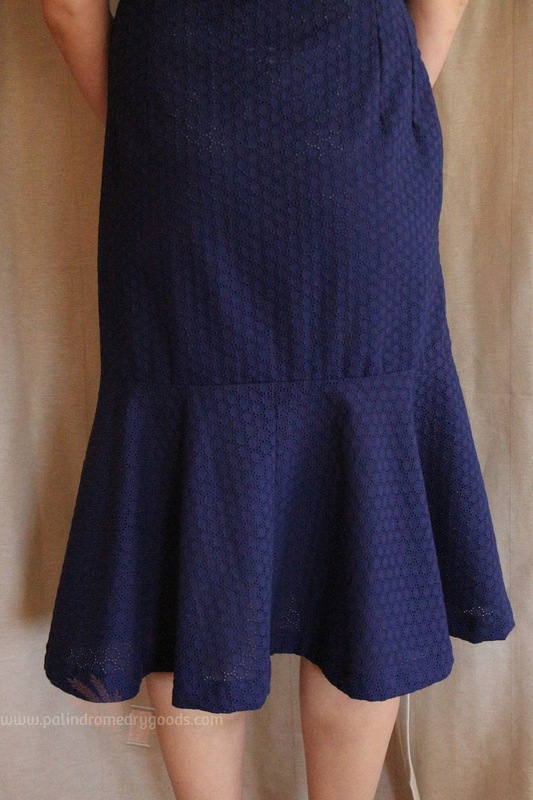 The blue eyelet was in my stash (it's a little summery for winter, but I wanted to use what I had on hand), and I tried to find something similar online but I couldn't. It's 100% cotton in a deep navy blue. 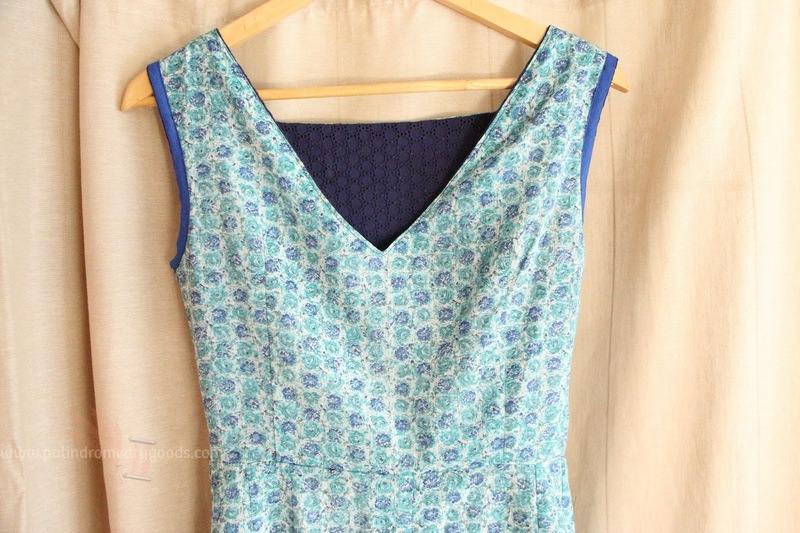 I love, love, love the shape of this dress. I don't typically think that midi dresses look good on me, but I went for it with this one, and I'm so glad I did. I think it's elegant and lovely. 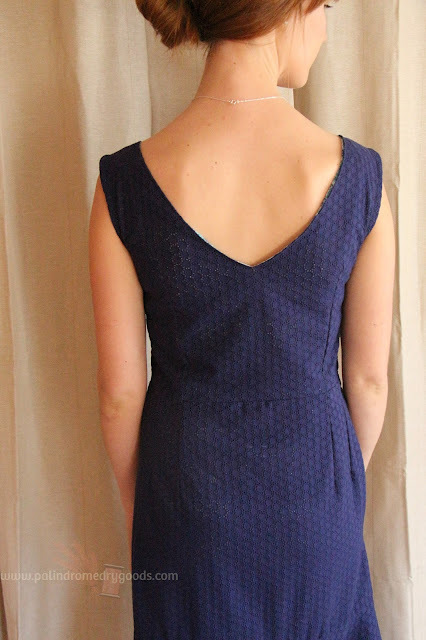 Between the pencil front, the back neckline, the back flounce and the length, and it makes me feel like I have more curves than I normally do. Va, va, voom! It's fully lined with vintage acetate from The Tin Thimble. So if you didn't know that you could piece together completely different patterns, then I'm happy to tell you that you absolutely can. I'd like to share some advice for 'splicing' together different patterns so that your attempts will be successful. 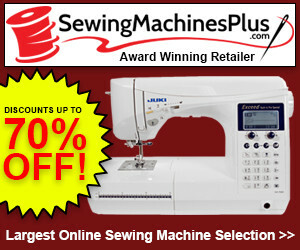 I hardly have any pattern drafting experience, and you don't need any either. Though if you do have drafting experience, you'll probably have totally different methods, which I'd love for you to share! The possibilities for what you can piece together are endless. You could use the sleeves from one dress, the bodice from another and the skirt from a third, for example. 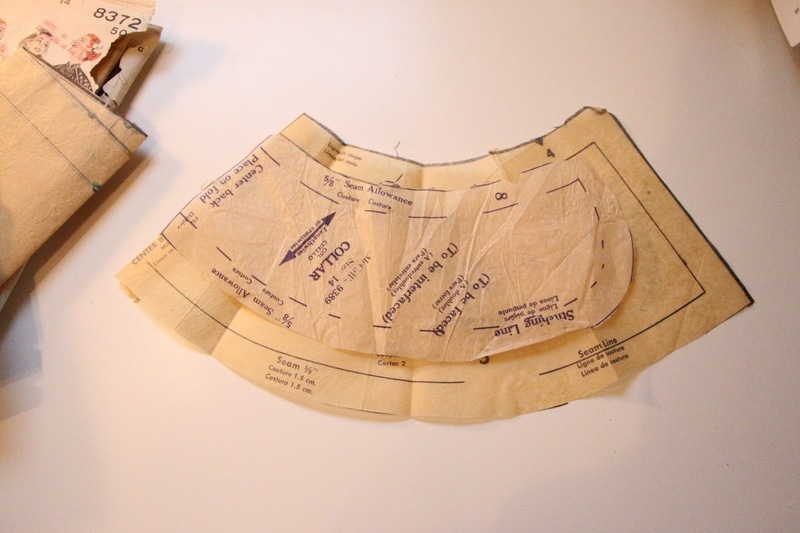 My first tip: it's helpful if the patterns have the same measurements. 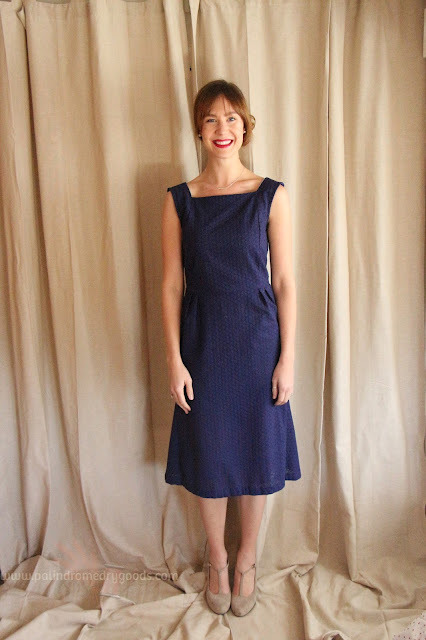 For example, the waist for the Simplicity pattern I used for my Christmas dress was 25" (which is too small for me) and the waist measurement for the McCall's pattern was 26" (which is also too small). 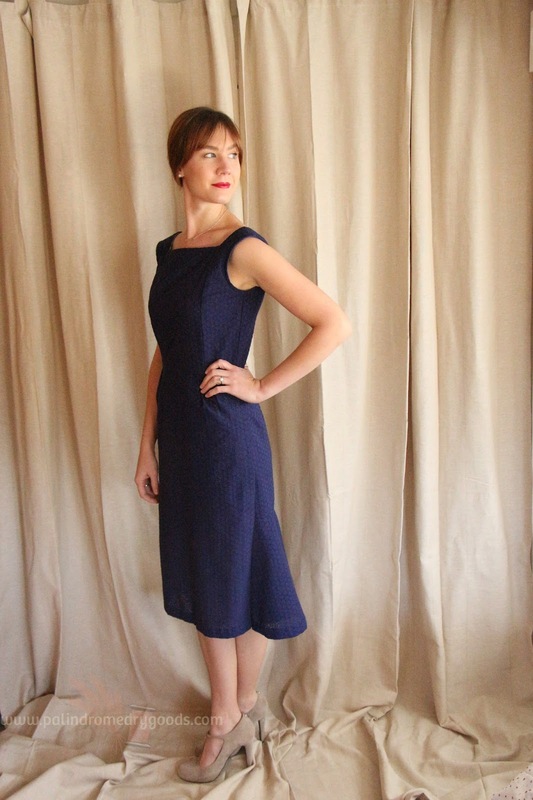 My waist measures 28", so I had to add 3" to the Simplicity pattern and 2" to the McCall's pattern. 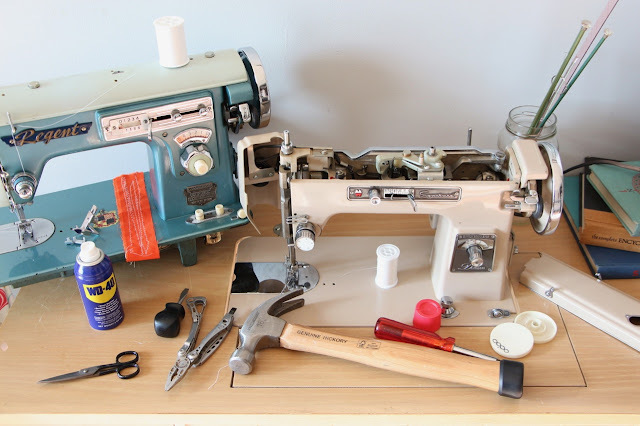 This is not ideal, and especially if you're new to piecing together patterns, it is much simpler if all the patterns you're combining are the same measurements. What's even better is if they're all your measurements. My second tip: Put together a sketch of what the final garment will look like. 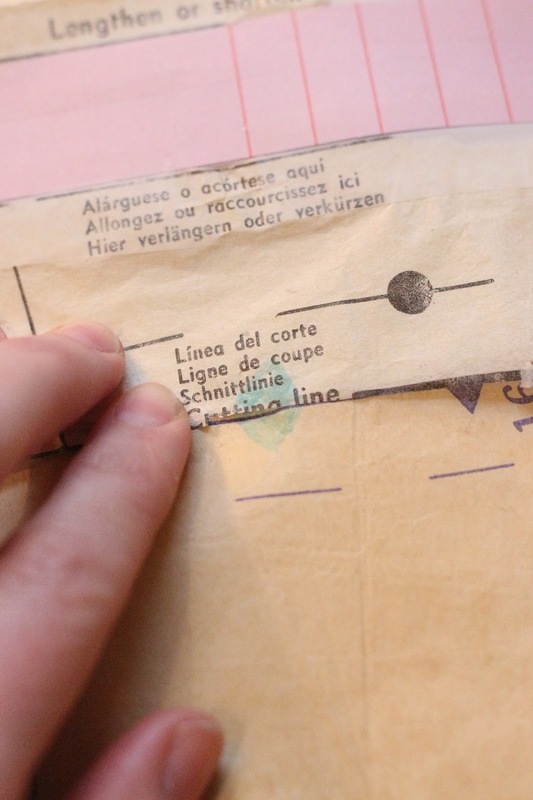 I have no drawing skills, so often times I'll just trace the parts of the pattern envelopes that I want to use. 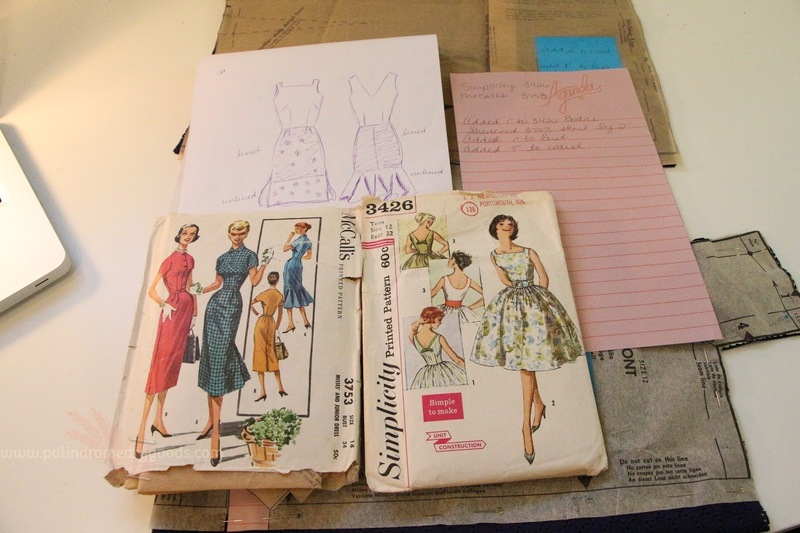 The sketch doesn't need to be professional, chances are you're the only one who will see it, but it will help you visualize what the garment will look like. Sometimes ideas in my head look great, until I sketch them out and then I think "Ohhh lawd, good thing I didn't execute that look". My third tip: Make sure you're working with compatible pieces. Unless you want to undertake a big drafting project, make sure the pieces you want to combine will fit together with minor changes. 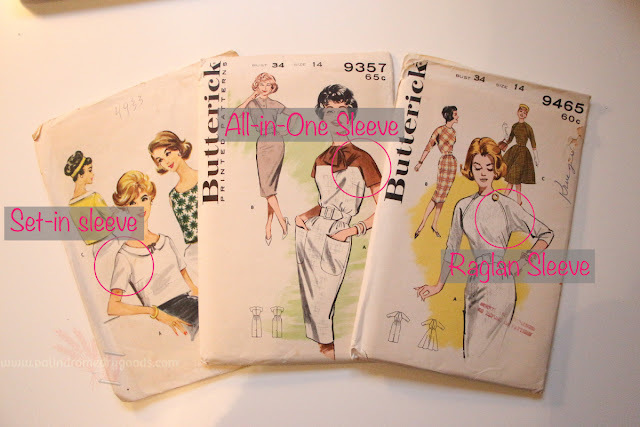 Let's look at the sleeve types of the three patterns below. These three types of sleeves are incompatible. You could not take the sleeve from the butterick pattern on the right and swap it for the sleeve of the pattern on the left. Because set-in, all-in-one and raglan sleeves are all cut and installed dramatically different, these pieces would not work with one-another. 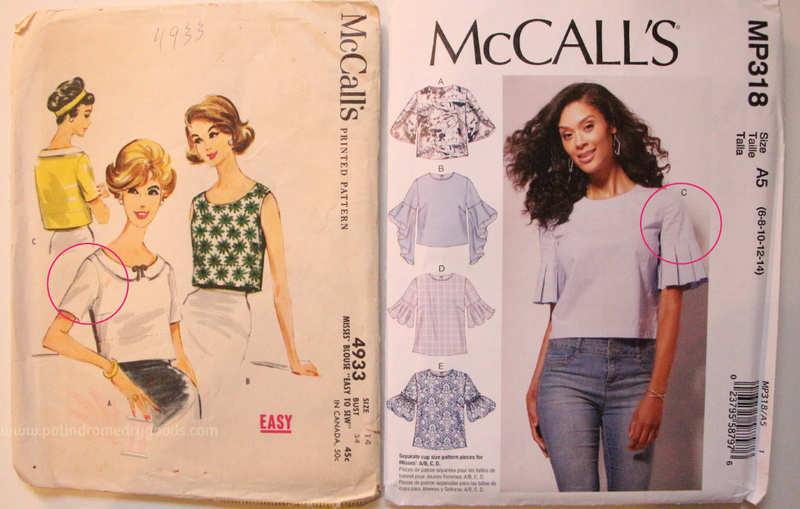 McCall's 4933, Butterick 9357 and Butterick 9465. However, the sleeve types below could be switched between patterns. They're both set-in sleeves and therefore swapping one for the other would be an easy process. McCall's 4933 and McCall's 6542. Once you've determined if pieces are compatible, I recommend measuring them (and then doing tip #5 below) to make sure they fit well. Some adjustments may (more than likely, will) have to be made. In the example below I took two patterns with collars to compare them. As you can see, one is wider, while one is longer. The width of the collar probably wouldn't be an issue, but the length may cause a problem, and therefore, the collar may need to be lengthened to fit. A muslin (again, tip #5) would help you determine the best changes to make, if any. My fourth tip: Create your own notches wherever you piece together your patterns. 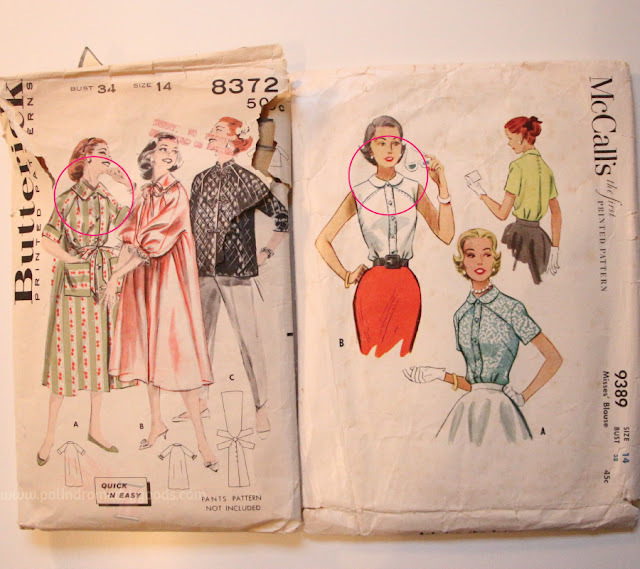 For example, if you're adding sleeves from a McCall's pattern to the bodice of a Vogue pattern, use a marking pen to create symbols that will help you sew the sleeve in correctly. 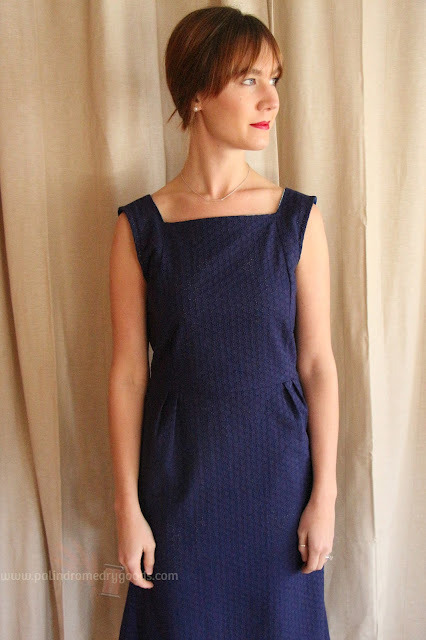 You can do this at the waist, neckline, or any place where your different pattern pieces are coming together. 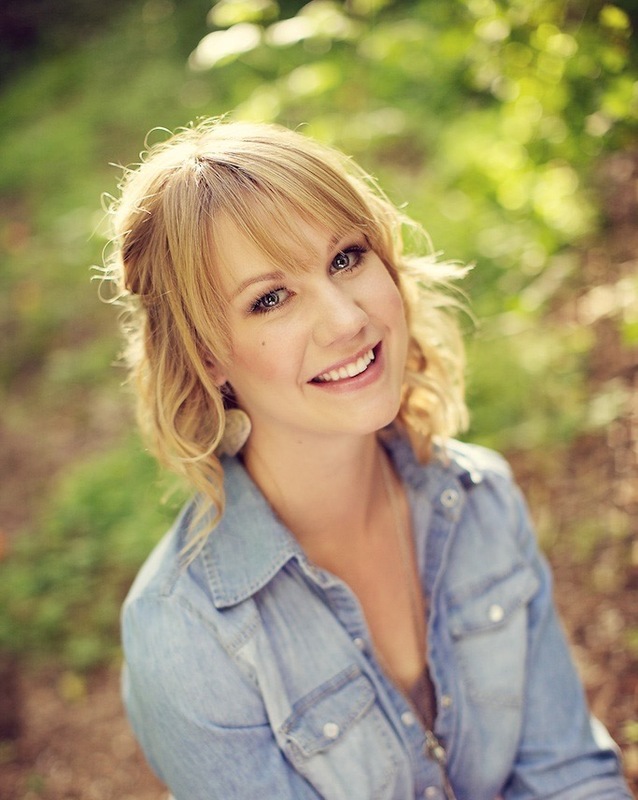 My fifth tip: Make a muslin. I wish I had made a muslin for this dress because I ended up having to make quite a few alterations once the whole thing was sewn together. Ultimately, it ended up fitting quite well, but I could have saved myself some fabric and time if I had made a practice garment first. 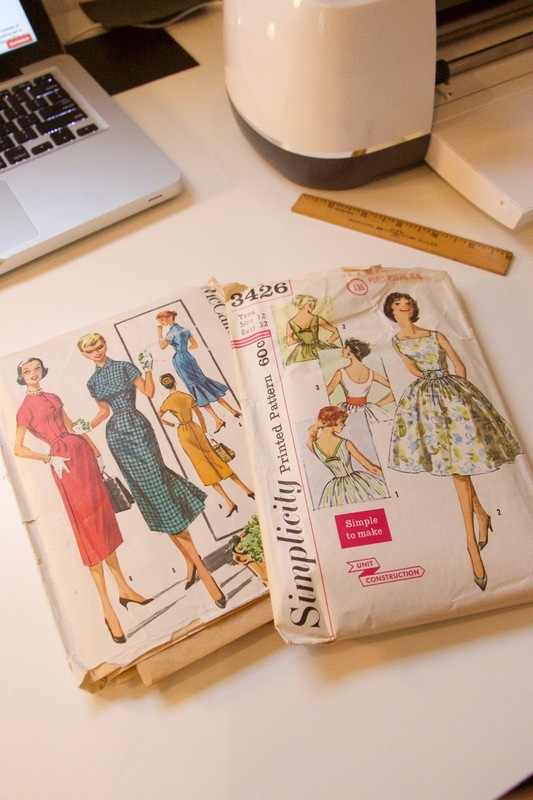 So there you have it, just a few tips for combining completely different patterns to make a custom garment you'll love. I used to teach a workshop on these methods at The Tin Thimble and I look forward to teaching it again when we move back to the west coast. This process of combining patterns is super creative, and fun, and best shown to students in person. 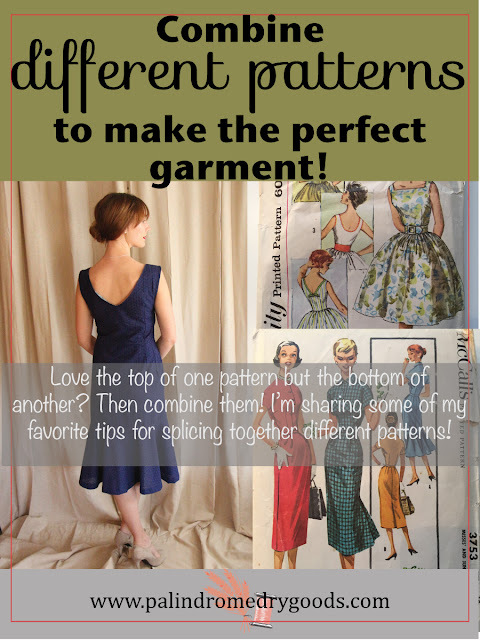 Do you like to splice your patterns? What tips and tricks do you have? If you're new to this method and learned something today, please comment below and let me know! You can also show me what you've made on Instagram, you can find me at @palindromedrygoods. Other details: Sewn with my Janome HD3000. Silver bar necklace from here. Heels by Guess.